Things in the motorsports industry are shifting gears in a big way, with television changing and the decline in numbers in many markets you may be left wondering where are the next NASCAR fans? Is a sponsorship worth pursuing? Will driving a campaign in motorsports get my brand noticed? Two ways to tap into the market are relevant and meaningful events as well as having strong Hispanic drivers with a lasting presence throughout races. FRANCKLY SPEAKING: Where Are the Next NASCAR Fans? It seems like every day one learns some track is reducing its seating capacity. Television numbers are down in many markets. So where are the next NASCAR fans? The answer will surprise you because they are here right now. They are our Hispanics; an underutilized market by sanctioning bodies. At 58.1 million, Hispanics represent the fastest growing population in the United States. Between 2014 and 2060, the Latino population is expected to increase 115 percent to some 119 million people; Latinos will be 29 percent of the U.S. population. $1 trillion in purchasing power, which is projected to grow to $1.7 trillion by 2019. If the US Hispanic segment were a country it would be the 2nd largest in the world (after Mexico). While NASCAR has a diversity program the sanctioning body has a long way to go to entice that Latino segment of our population to become fans. These are some of the 'can't miss' events we are most excited for! Contact us to find out how you can leverage some of these events for your brand. 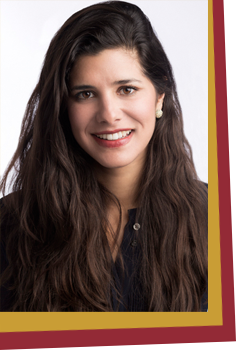 Estefania Acosta-Rubio is a Venezuelan native and first generation U.S. Hispanic, public and media relations powerhouse specialized in Hispanic sports and entertainment marketing. With a proven track record of creating and executing highly impactful marketing initiatives, Estefania is an industry leader in harnessing the power of emerging media as well as traditional print and broadcast coverage. #TEAMEMAR is certified as a women's business enterprise through the Women's Business Enterprise National Council (WBENC), the nation's leading advocate of women-owned businesses as suppliers to America's corporations. Launched in 2013, #TEAMEMAR is the only motorsports management and media relations agency specializing in the U.S. Hispanic market. #TEAMEMAR leverages motorsports expertise and unique cultural insight to connect brands with the country's fastest-growing consumer group. The new year is just around the corner and we're wrapping up 2015 by looking back at some of the biggest moments of our year. From broadcasting NASCAR LIVE for Fox Deportes to celebrating the end of Super Copa Telcel's season in Mexico City at the newly renovated Autódromo Hermanos Rodríguez, 2015 has been a great milestone for me and #TEAMEMAR. 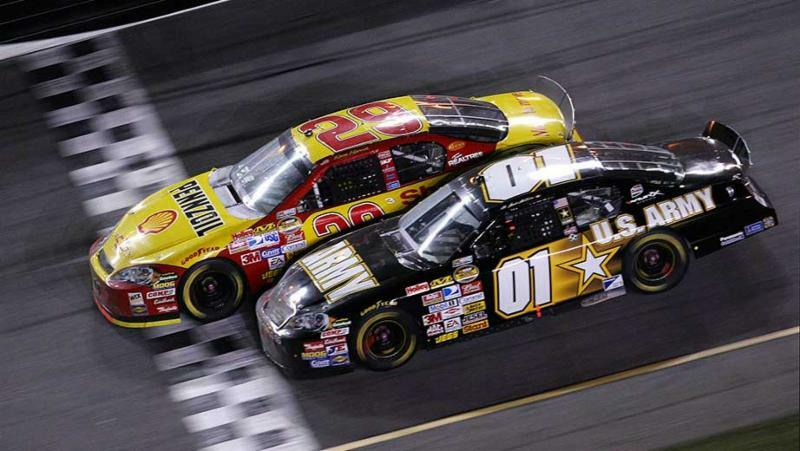 NASCAR - We kicked off 2015 on a high note! 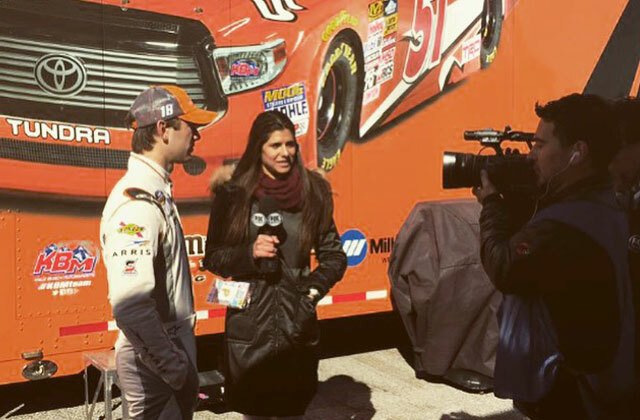 I was given the opportunity to report live from the Daytona 500 for Fox Deportes. The experience gave me the chance to expand my scope of the industry for a well rounded point of view. Click here to view the clip. 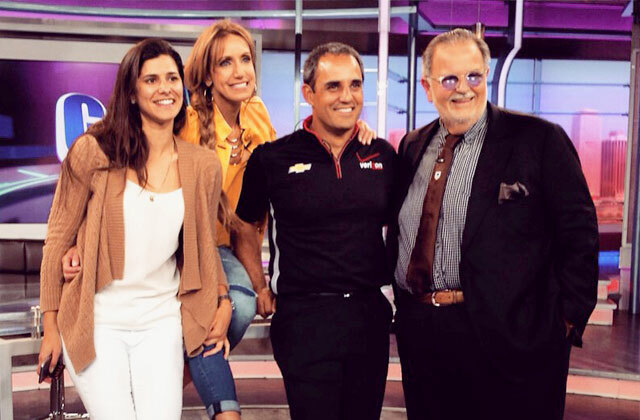 INDYCAR - #TEAMEMAR planned and executed successful media events nationally to help promote INDYCAR... Hello Juan Pablo Montoya, 2015 Indianapolis 500 Champion! Over and over again, we connected the top Latin drivers in the U.S. with leading national and regional Hispanic-centric journalists and media. Click here to view the case studies. Hewlett Packard Enterprise Presenta Super Copa Telcel - Last weekend, Super Copa ended its season with Hewlett Packard Enterprise as its Official Presenter. We loved being involved with the activation of this new partnership! Click here to read more. 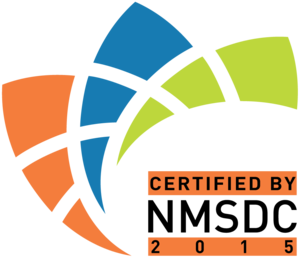 This year was also a milestone year for us as an agency with new two certifications. #TEAMEMAR is now a certified as a women's business enterprise through the Women's Business Enterprise National Council (WBENC), the nation's leading advocate of women-owned businesses as suppliers to America's corporations. We are also certified as a minority-owned business through the National Minority Supplier Development Council (NMSDC), the premier global certifier for minority businesses and a leading corporate membership organization. I'd like to thank our clients and partners for making this a fantastic year! And our readers for joining us for the ride. I cannot wait to see what 2016 has in store! Estefania Acosta-Rubio is a public and media relations powerhouse specialized in Hispanic sports and entertainment marketing. A Venezuelan native and first generation U.S. Hispanic, Acosta-Rubio's core values and cultural pride are only matched by her love of motorsports. Driven by these passions, she founded a company that would be characterized by its ability to connect the two. With #TEAMEMAR she has curated a roster of highly talented collaborators to bring real value to brands in need of comprehensive Hispanic motorsports management and marketing. Launched in 2013, #TEAMEMAR is the only motorsports management and media relations agency specializing in the U.S. Hispanic market. 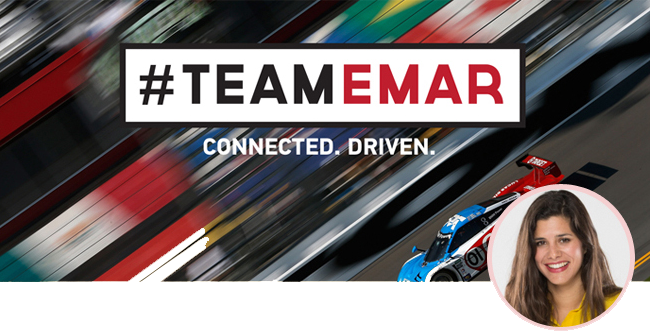 #TEAMEMAR leverages motorsports expertise and unique cultural insight to connect brands with the country's fastest-growing consumer group. Known for developing creative and results-driven campaigns, #TEAMEMAR helps drive brand awareness through impactful media relations, sponsorships, endorsements and events. 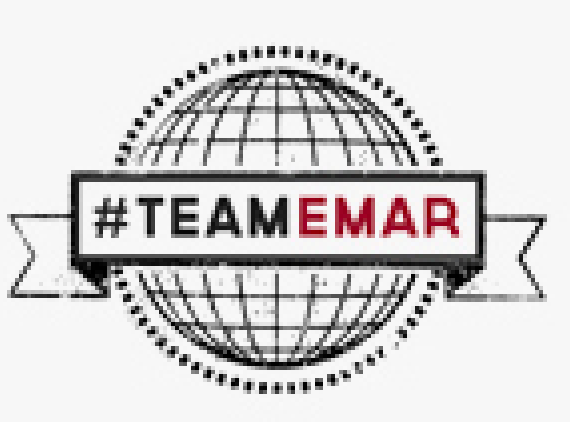 #TEAMEMAR can be found online at teamemar.com and on Twitter at @teamemar. 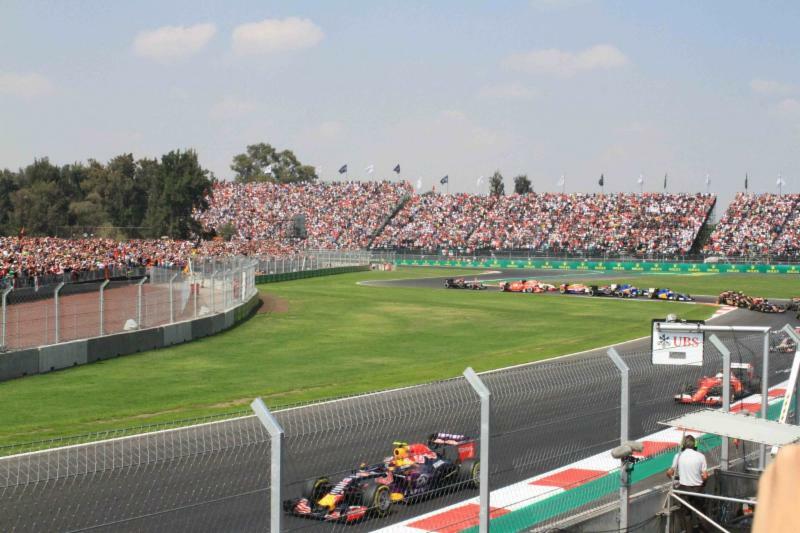 Over 130,000 auto racing fans welcomed the return of the Mexico Grand Prix early this month, which became a career highlight for racing star Sergio "Checo" Perez and Escuderia Telemex. Escuderia Telmex is deep rooted and committed to motorsports led by top Mexican drivers and have dedicated themselves to supporting the sport since 2002. Sergio "Checo" Perez shared his excitement over the opportunity to race in his country. Perez said, "I didn't expect this type of support that people are giving all the time. For my country, the results didn't matter. What mattered was to see me here. I'm really grateful." Formula One sponsor Carlos Slim Domit and chairman of the Mexican conglomerate Grupo Carso was a big part of the initial race, supporting his country and the sport. As an avid motorsports fan, Domit has been involved in motorsports for many years and was part of the organization that worked with NASCAR to run races in Mexico City from 2005 to 2008. Sergio Perez marked the November 1st race as an unforgettable weekend. "Having the opportunity of driving in my home Grand Prix is something I never thought would happen. It will be one of the highlights of my career." This weekend's race was truly a memorable one, packed with celebrities including Jacqueline Bracamontes, Zuria Vega, ex Miss Universe Ximena Navarrete, Elba Jiménez and Belinda among others. Check out what everyone was saying about the return by clicking the hashtag #MexicoGP. HPE Presenta Super Copa Telcel's series of ten races also started with a bang earlier this year and is already gaining a lot of PR traction and media attention. Their highly anticipated season ending will take place in Mexico's Autódromo Hermanos Rodríguez on December 14. Now's the perfect time to grab the attention of Hispanic viewers and fans! I am excited to announce that the Women's Business Development Council of Florida recently certified #TEAMEMAR as a women owned business. After a lengthy certification process - which started the day we launched two and half years ago, my dream of being recognized as a women owned business has come true. I'm proud to join Latina entrepreneurs and share this great distinction with them. Joining the Women's Business Enterprise National Council (WBENC) represents a significant step forward for #TEAMEMAR, and for me personally. As far back as I can remember, I wanted to run my own company. I always relished the idea of having the freedom to do focused and intentional work towards building a business which truly represents my passions and allows me to express my idea of success. As a female business owner I'm passionate about diversity and the empowerment of women in the business world. We've built a strong portfolio of awesome clients and made a name for ourselves as a dedicated, empowered and results driven sports management and media relations agency. It is a privilege to now be part of the nation's largest certifying organization for businesses owned and operated by women. The passion I feel about building a strong women owned business has translated into an innovative approach which has allowed us to work with dream clients such as NASCAR, INDYCAR, Formula E, Super Copa Telcel and more! Click here to view our Case Studies. Ready to revv-up your marketing and PR? Email us. Danica Patrick is one of the most successful women in the history motorsports. Her wins include Indy Japan 300 in 2008 and the NASCAR Sprint Cup pole in 2013. She is the only women's victory in IndyCar and currently holds the highest finish for a woman in Daytona 500. Simona de Silvestro is a Swiss motorsports racer and has raced in Formula 1 and IndyCar. She was named Indianapolis 500 Rookie of the Year in 2010 and became the first woman to claim a road course podium in 2013. Also, the program's online efforts helped to quadruple the number of followers for @IndyCarLatino, the official Spanish Language Twitter account for the Verizon IndyCar Series. See below for a rundown of our strategies and objectives and CLICK HERE to view this and other #TEAMEMAR Case Studies. How It Works: After the 26th race of the season and with 10 more to go, the top 16 ranked drivers qualify for a spot in the Chase for the Sprint Cup. There is a Challenger Round, Contender Round, Eliminator Round, and finally the NASCAR Sprint Cup Championship title race at Homestead-Miami Speedway. Each round eliminates four drivers until there are only four left, and one takes home the coveted cup and title! This is a great opportunity to get your brand in front of the Latino community through motorsports as NASCAR stops into various Hispanic markets along the way: Chicago, Phoenix, Texas, Charlotte, and of course Miami! Sponsorships: By sponsoring a track, driver, or event, you're put in the heart of the race! All eyes are on the track, drivers, and cars so this is an optimal opportunity for brand integration. Bloggers: They know how to speak their reader's language and can get an audience behind them in an organic and personal way. Brands can create a "Running with the Chase" type of series where key beat bloggers immerse their readers in the action. This is a superb option because they're socially active and can increase buzz during the Chase, benefitting everyone in the sport! I have activated many blogger programs with huge ROI! View our Case Studies to see how we did that for Homestead-Miami Speedway. Charity: Giving back to the community is a phenomenal way to get involved and there are countless organizations related to motorsports. The NASCAR Foundation has some amazing initiatives focused on education (Classroom Donation Program, P.I.T. Crew Project, Scholarship Program) and medical care (Speediatrics). The Chase is one of the most exciting times of the year in racing, when thousands tune-in, tweet, and cheer on the track for their favorite drivers. It's an optimal opportunity for your brand to be seen by multitudes of passionate fans and consumers. For more information on the Sprint Chase and how to get in on the action, email me. The Brazilian took the title at the end of an incredible day! Piquet Jr's win marked the first time, a Chinese team, NEXTEV TCR, has produced the champion in an FIA series. IndyCar creates conduct code to limit competitor criticism! Mark Miles insisted Tuesday that the rule is "not a gag order" and won't limit content for media coverage. Harvick triumphed over 2015 Indianapolis 500 champion Juan Pablo Montoya, 2014 IndyCar champion Will Power, 2014 Formula One champion Lewis Hamilton and 2014 NHRA champion Erica Enders-Stevens for the win. What Moves the Hispanic Fan? Hispanic Heritage Month takes place September 15 - October 15 and it's the perfect opportunity for brands to win the hearts of Hispanic motorsports fans. Wondering how to do it? A recent Nielsen study reveals some key insights that can help you tailor a campaign for this growing audience. Hispanic consumers look favorably on sponsorships. 43% of Hispanics feel loyalty toward sports sponsorships and, 41% of that demo is inclined to buy products offered by sponsors. 75% of Hispanics have purchased sports-related merchandise within the last 12 months, compared with 62% of non-Hispanics. Hispanics place value in athletes as role models more so than non-Hispanics. 47% of them saw NASCAR drivers as role models, compared with 41% of non-Hispanics. Hispanic sports fans watch sports programming with others. 55% of Hispanics say they're more likely to take in a televised game or other sports programs at someone else's home. 1. Sponsor Their Passion: Look for sponsorship opportunities within motorsports. Here are just a few to consider: Everything from a car sponsorship to a Twitter chat! It truly depends on exposure desired. I was actually at the Indianapolis 500 this past month and came up with some cool ideas to incorporate Hispanic celebrities into the mix. All we need is a sponsor looking to target the Hispanic market, a driver willing to meet one of Latin America's biggest stars, and some space so we can do all the media that will naturally want to document some of the action! 2. Motivate the Next Generation: Use Hispanic drivers to create motivational content that fits with your brand's mission and create a campaign across all digital channels. Include a hashtag for the campaign that will help direct your story and track share of voice. 3. Recognize Their Potential: Hispanics are a driven, hardworking and passionate demographic. Awards and scholarships are a strong way to get their attention. A great example is NASCAR's Hispanic Heritage Foundation's recognition and grants to young students. This created a buzz in the Latin community and placed NASCAR and its sponsors as socially responsible brands. 4. Celebrate in Community: Have a driver be your brand ambassador and spread good-will in the Hispanic community with programs for kids and teens or special events. One idea we love is working with NASCAR or IndyCar to host driving clinics that can focus on driving safety or spotting new racing talent. 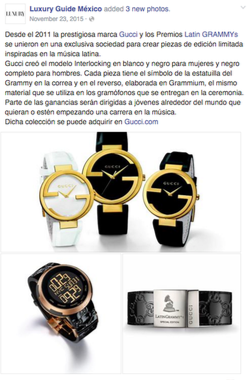 This puts your brand in the spotlight while positively celebrating the Hispanic community. Last month Juan Pablo Montoya made motorsports history when he won the #Indy500 after a 15 year gap! #TEAMEMAR was ready and delivered national coverage across Miami, LA, New York and even Hispanic news icon Raul de Molina (@RauldeMolina) of El Gordo y La Flaca was on hand to celebrate! Check out some of our coverage below. "Look at the list of former winners of the 'Best Driver' category and you can see that it is quite an honor just to be nominated. What's amazing is that I have raced against almost everyone on that list of former ESPY winners. 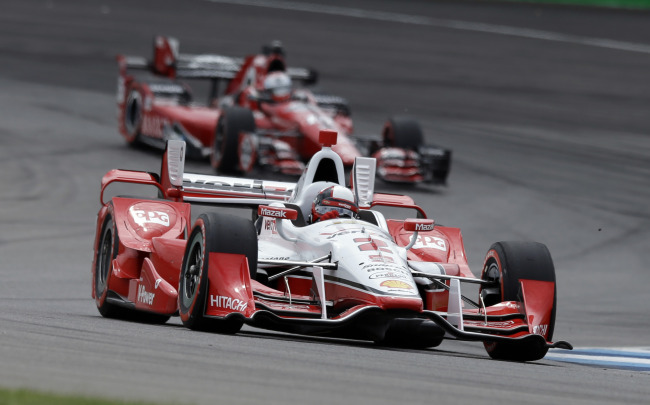 I love the Verizon IndyCar Series and I think we have the best racing in the world. It's important for us to have ESPN acknowledge our accomplishments. Hopefully we can make it three straight Verizon IndyCar Series winners for 'Best Driver.'" When you begin to create your brand story surrounding an event you're participating in, create a hashtag that you can use on social media, especially on Twitter and Instagram. Hashtags work like keywords to help people find topics of interest and follow a conversation online. Use trending hashtags to participate in the online conversation about an event or topic and help others find your content on the same subject. Create your own hashtags to accentuate and manage your story in social media, and encourage others to use your hashtags when sharing your content. Use multiple hashtags. By combining trending hashtags along with your own hashtags, you amplify your share of voice and reach more of your target audience. Last month's race in Miami used the hashtag #miamieprix. You can search for the hashtag directly on Twitter or Instagram. But here's a quick way to get a bird's eye of the stories generated by the Miami ePrix: go to Tagboard.com and check out their hashtag #miamieprix. Do you use hashtags? Look it up and see how you're doing! Did you catch the LIVE coverage of the Daytona 500 on Fox Deportes? 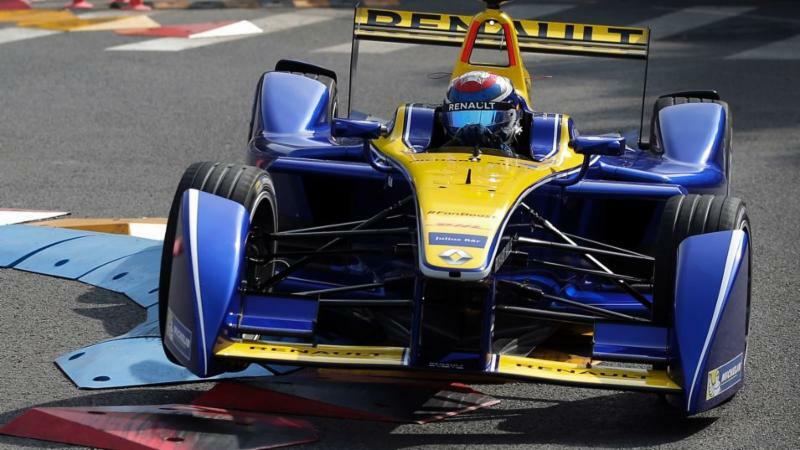 The FIA Formula E Championship - the world's first fully-electric racing series made its historical Miami ePrix (@Miami_ePrix) debut March 14, 2015. Click here to view highlights. Dozens of high-speed racecars will rev-up their engines to kick-off the most important race of the NASCAR season - the Daytona 500! The Daytona 500 is widely considered to be the Super Bowl of racing with millions of viewers tuning in on their T.V.s and following along on social media. While Latinos are integrating into the mainstream, they aren't necessarily looking to acculturate, or become monolingual English-speakers. Hispanics are still tied to their culture and connected to their Latino roots. 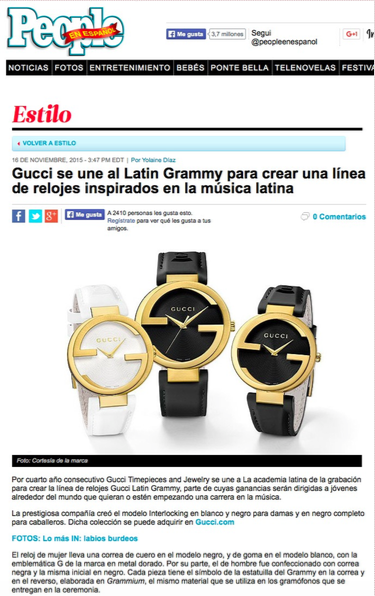 Because of this, advertisers know that they have to be fluent in biculturalism and diverse ideas. It's not enough to speak their language and translate messages. You have to really know them. Hispanics are much more likely to live in a mobile-only household ... 53% vs. 35% for non-Hispanic whites and about 49% will change their mobile phones within the next six months. Hispanic consumers take a more favorable eye toward sponsorships. Forty-three percent of Hispanics feel loyalty toward sports sponsorships and, what's more, 41% of that demo is inclined to buy products offered by sponsors. Catch the Daytona 500 Sunday, February 22. I'll be telecasting LIVE on Fox Deportes! You can also follow #Daytona500 on social to see how brands and consumers are interacting and engaging with each other. Happy Belated Birthday to Daniel Suárez (@dnlsuarez) who turned 23 years old on Jan. 7th! Congratulations to Carlos Muñoz (@CarlosMunoz034) who last month was awarded Univision Deportes' Best Car Racing Performance of the year! 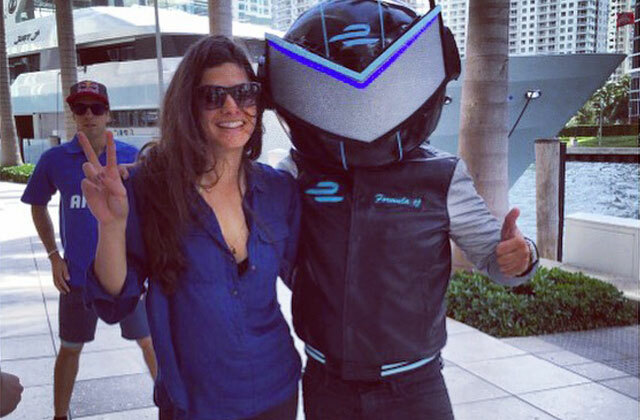 The FIA Formula E Championship - the world's first fully-electric racing series - is making its historical Miami ePrix (@Miami_ePrix) debut March 14, 2015 and is inviting the South Florida community to participate in what will be the most impressive motorsport entertainment event of the year by signing up as volunteers. "It is with the support of the community that the Miami ePrix will be a success," said Miami ePrix General Manager, Chuck M. Martinez. "We are eager to work alongside local volunteers for this groundbreaking sporting event." Miami ePrix volunteers can sign-up online by completing The ePrix Association Member Application, available here.